SEVIERVILLE, TN - The Tennessee Smokies fell to the Pensacola Blue Wahoos 4-3 on Sunday night at Smokies Stadium. 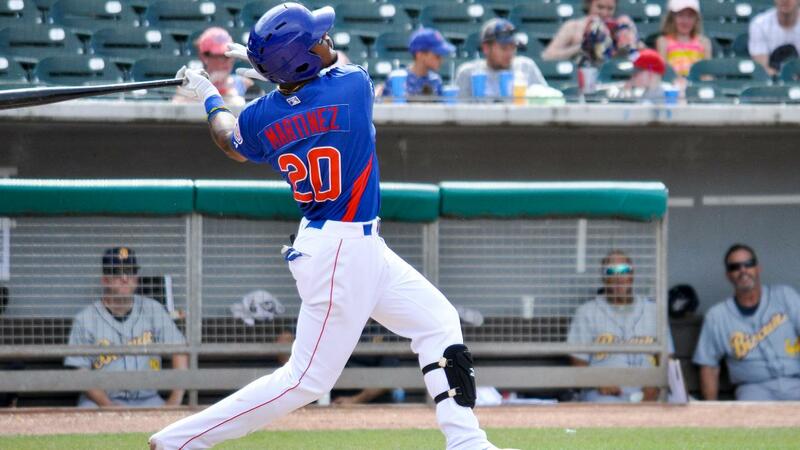 Eddy Martinez led the Smokies offensively with a two-run home run. Down 2-0, the Smokies cut the lead in half in the bottom of the fourth. Jeffrey Baez walked with two outs in the inning and moved to second on a wild pitch. Jesse Hodges was the next batter and he singled to left center field, scoring Baez to make it a 2-1 game. Tennessee loaded the bases later in the inning but a groundout ended the inning. In the bottom of the fifth inning, the Smokies took the lead. Wynton Bernard reached base with two outs on a single and stole second base. Martinez was up next, and he delivered with his 12th home run over the fence in left field to give Tennessee a 3-2 lead. Michael Rucker got the start for the Smokies and pitched five innings, allowing two runs on two hits while striking out four. Rucker got into trouble in the bottom of the sixth but the Smokies sent in Scott Effross with the bases loaded and no outs. Effross struck out the first batter and got the next batter to ground into an inning ending double play. However, the Blue Wahoos regained the lead in the seventh on a two-run home run off of Effross. Wyatt Short was the next arm out of the bullpen, and he pitched a scoreless eighth inning before handing the ball over to Preston Morrison who pitched a scoreless ninth inning. 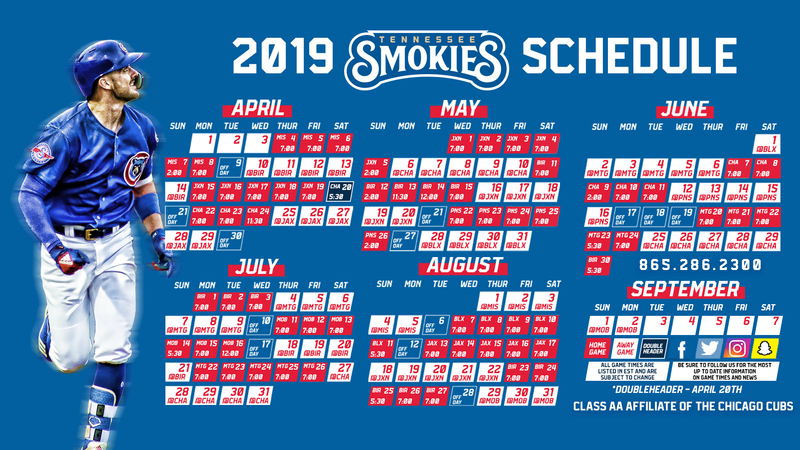 The Smokies and Blue Wahoos will play one more time on Monday, the last game of the season, at Smokies Stadium. First pitch is scheduled for 12 p.m. Keegan Thompson is the projected starter for the Smokies as he looks for win number six. Thompson has had success at home this season as he is 3-0 with a 1.30 ERA at Smokies Stadium. The Blue Wahoos will counter with Wyatt Strahan.